Sin City is known for its fantastic dining experiences, world-class casinos, and spectacular shows — and now, mind-blowing cuisine delivery. Whether you’ve spent the day winning at the slots, seeing top-notch comedians, or watching acrobats fly through the air, there’s nothing like a pie with the best ingredients, innovative combinations, and mouth-watering sides. 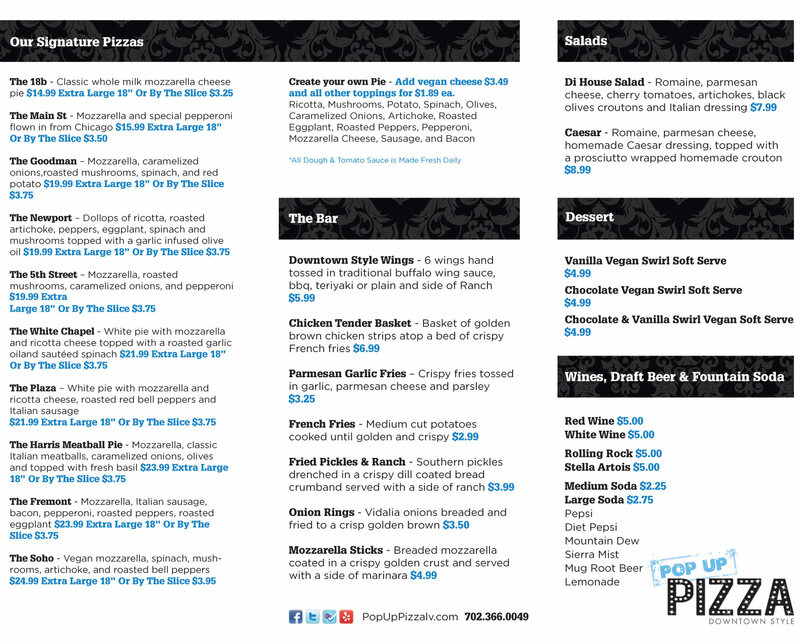 This is the pizza delivery Las Vegas is buzzing about. 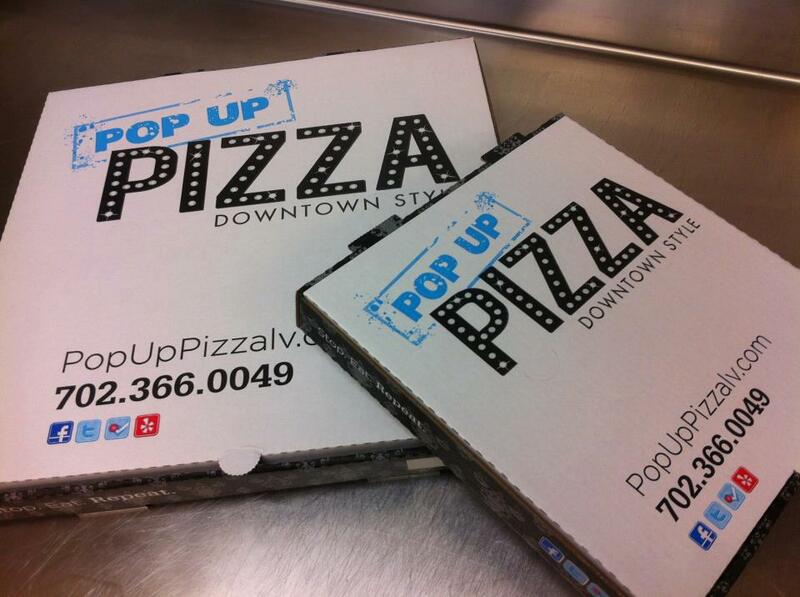 If you’re craving pizza in 89101, give Pop Up Pizza a shot! Downtown Las Vegas’s Pop Up Pizza does it right: super fresh ingredients, innovative recipes, and an expansive menu including salads, beer, wine, garlic knots, and more. This isn’t a frozen meal you bought at the grocery store. This is piping hot food that’ll satisfy even the pickiest eater’s taste buds. We offer speedy delivery right to your door! Herbivores, rejoice! Here at Pop Up, there’s something for everyone – down to our vegan pizza and vegan desserts. You too can enjoy a night on the town with your meat-eating friends. Find out what our fans are saying on our Facebook page. See photos of our delicious pizza, read reviews from renowned food blogs, and convince your friends and family to devour a magnificent pie.